It's pretty amazing to consider what certain characters might have done if they had the advantages of a few of the modern conveniences that we currently possess. You know, the things we take for granted until they're suddenly gone? Just because the story suggests it should go a certain direction doesn't mean you can't modernize the look! 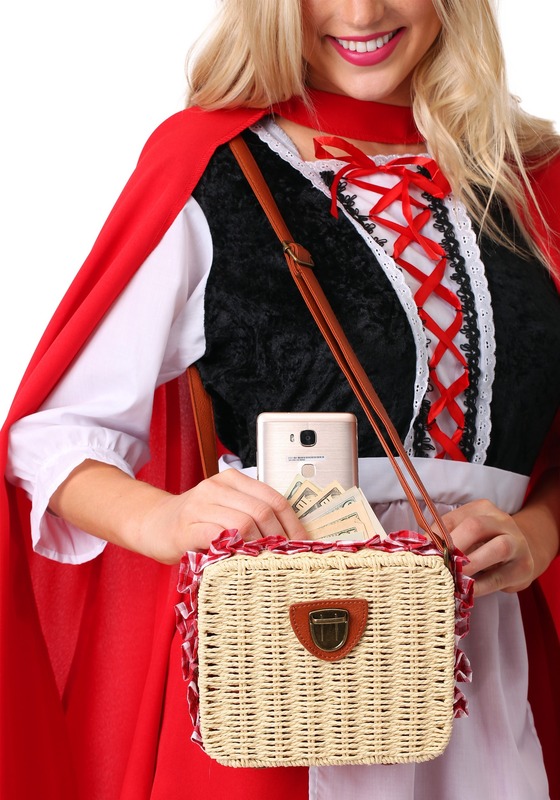 Next time you're looking for an old-timey basket for your delivery needs, consider this exclusive Gingham Basket Purse, instead! This beauty is made from high-quality woven materials, leather straps, and brass buckles to keep all your things secure while giving you a lovely folktale look! None of the bad guys in those old folk stories ever think that the traveling lass is going to have any actual security inside the cute little basket put together for Grandma. Feel secure and shock the rest when your Gingham Basket Purse is not only adorable but high functioning, too!